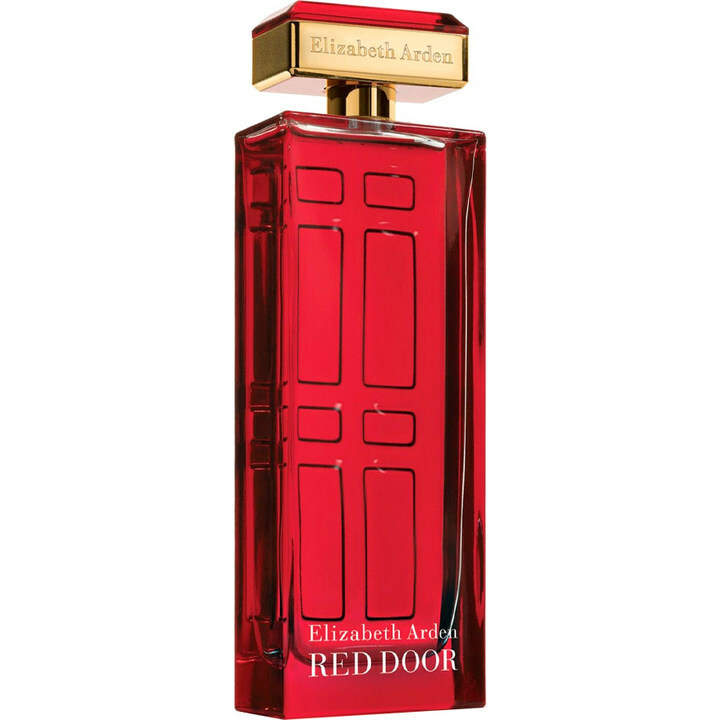 Red Door (Eau de Toilette) is a perfume by Elizabeth Arden for women and was released in 1989. The scent is floral-sweet. Projection and longevity are above-average. It is being marketed by Revlon. An all-business perfume, no doubt, one that reminds me of a mature lady, all suits, hair back in a bun, clothes dry-cleaned and ironed, sharply dressed. I couldn't wear this fragrance any other time. Or so I thought. It always seemed too serious for me. The straight tuberous hits hard in the beginning for me but is deliciously and creamily mellowed by the additional notes. On me, it's as if the tuberose is fully wrapped around by everything else. You know, it's there, it's a strong element, but it's also mellowed for about 2 or so hours. Then Red Door turns to a completely different perfume than its original scent on me. It becomes a spicy, honeyed powder that's still strong and enjoyable. The florals disappear and Red Door becomes a full-blown oriental on me. What a change-over. An interesting perfume this becomes that lasts for hours upon hours. Sillage sits comfortable around you like a floating cloud if Red Door agrees with you. That is the key to this perfume. It's a powerhouse that will knock the socks off the people around you if it doesn't agree with your body chemistry. I'm glad it turns into a wonderfully spicy oriental on me. Day Two of wearing it I received compliments on the perfume I was wearing. Even tho I had never tried Red Door before, always avoiding it, I had decided to take the plunge and try it. I had a generous sample to last me for a few days so I decided to wear it again and see how I felt about this classic. On Day Three a woman shopping for perfumes complimented me and asked me for suggestions for herself. Go figure. Red Door must agree with me then if another woman asked for suggestions on perfumes. I guess it does suit me (pun intended) after all. Kinda grows on you surreptitiously. My friend described Red Door as ‘very perfumery’ and I agree. The big, bold and powerful bouquet, mixed from impressive number of flowers, does not smell gentle or natural. It is designed to stand out and announce its presence from far away. Child of 1980s, Red Door was designed to exude aggressive confidence. Whenever I smelled it, I always thought about tough business woman in tailored suit, high heels and no nonsense attitude. Color red suits this scent well and expresses its highly energetic mood. There are so many flowers in Red Door’s composition. I can smell them all at once, desperately trying to fight for the spotlight. I think jasmine manages to get an upper hand at one point, but then carnations creep in and swallow it alive. Lily, freesia and lily of the valley has cool and overpowering attitude silently fighting with their rival jasmine and rose. Perhaps it sounds crazy, but to me that’s what makes this scent so energetic. There is this dynamic battle of wills in this scent that makes it interesting to experience. As the battle of flowers finally subsides, I am left with pleasant, slightly animalistic, woody base. Red Door is not my type of scent, but I don’t mind smelling it on others, as long as the usage is moderate. If used in excess, I think it could incinerate any intelligent life form within 5 meter radius, not to mention to induce a severe allergic reaction. And the scent lasts a long time too. 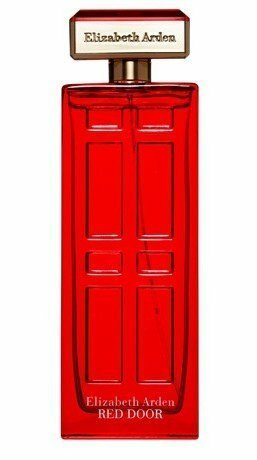 I am impressed that Red Door is still in production and has loyal number of followers. The composition is not as refined as other big floral creation of that era, but I think it is a good bargain for the price if you would like to experience a floral scent with tons of attitude. Overall score is 6/10. It's interesting to see how divided the reviewers are on this one. Typical love/hate I guess. Today was my very first encounter with the infamous Red Door. I went shopping for some top up groceries at my local and as I approached the till, was met by a clear scent of washing powder. The whole area was suffused with the smell of freshly laundered clothes. "This is weird" I thought. And then it came to me that perhaps the originator was the till girl's neck, so I asked her and she said "Oh, that's Red Door". So there you have it. Washing powder. Nice, pleasant and soft, but I already own Demeter Laundromat so I'll pass on this one. Red Door puts Poison & Giorgio to shame. One spray will do or it will announce your arrival before you. It opens with honey-drenched white florals. Morphs into a rose, just a bit soapy, eventually a bit powdery. Takes a long time to dry down. Pleasant & wearable for me ... in about 2 hours. If you like extravagant florals, this one might be for you. I'm glad I opened the red door but I doubt that I'll do it again. This red door is closed. Passionate fiery Bold & daring! I can find some notes like orange blossom rose jasmine Honey jasmine & Sandalwood. This is my mother's signature scent. It's a strong, yet elegant and sophisticated rose scent. Sure, this fragrance is mature, but not in the way that everyone makes it out to be. Red Door is quite a complex fragrance, and in my opinion it does not smell like an old lady. A young person, with the right skin chemistry could quite easily wear this. I must say that this fragrance smells amazing on my mother, many people have asked her what she's wearing and have been surprised to discover that it was something as simple and inexpensive as Red Door. Upon first application there is an instant BURST of lilly of the valley and violet. Powdery, moist and "mildew" like, the combination of these two accords is very intriguing. Come to think of it, it seems that every other women's fragrance to utilize these two accords at once always has that sort of feel SOMEWHERE in the composition. Freesia, slightly fruity to my nose assists to assert of this creations femininity by rounding out it's sister notes in the top. I might also add that the first initial application of this may be rather offensive to some fragranticans. FEAR NOT!!! the dry down comes on quickly. Orange blossom and rose are very prominent in the middle of this fragrance. A suggestion of a sunny day is dashed to pieces by a fragrant floral thunderstorm, but that's ok because it was getting too hot anyways. Stringent ylang-ylang comes into play shortly thereafter but never fear, it is rounded out nicely by a soft powdery semi-strong jasmine. The middle is really what holds all of the "punch" to this fragrance in my opinion. Honey is the real star of the show here, sparkling, viscous and sticky sweet. Complimented well by a DRENCHED earthy, soil-y and "dead" oak-moss. The base is VERY reminiscent of standing near a warm rushing stream. Sandalwood makes a strong appearance, but isn't so prominent, yet i believe it may be assisting in that "creek" type olfactory feeling i get. 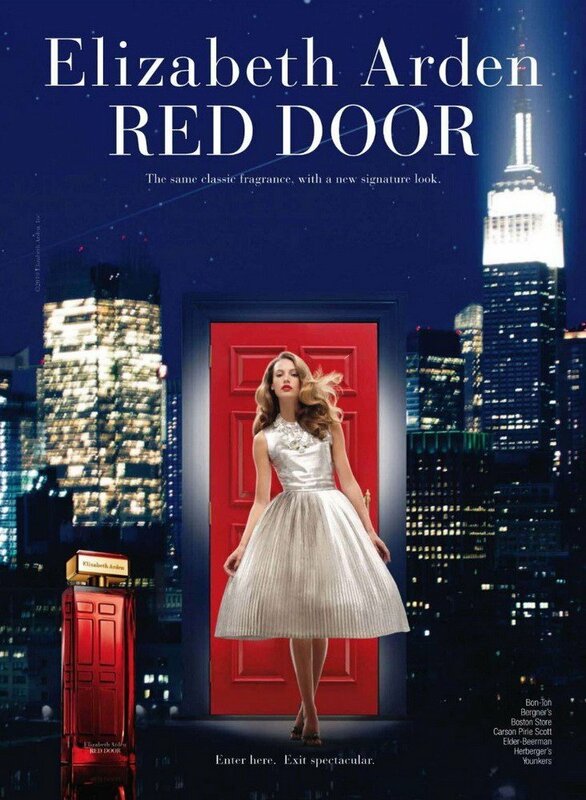 Write the first Review for Red Door (Eau de Toilette)!